HomeAll Posts...How Does Reiki Work? We are alive because life force is flowing through us. Life force flows within the physical body though pathways called chakras, meridians and nadis. It also flows around us in a field of energy called the aura. Life force nourishes the organs and cells of the body,supporting them in their vital functions. When this flow of life force is disrupted, it causes diminished function in one or more of the organs and tissues of the physical body. Reiki heals by flowing through the affected parts of the energy field and charging them with positive energy. It raises the vibratory level of the energy field in and around the physical body where the negative thoughts and feelings are attached. This causes the negative energy to break apart and fall away. In so doing, Reiki clears,straightens and heals the energy pathways, thus allowing the life force to flow in a healthy and natural way. All healers use life force or Ki, but not all use Reiki. Reiki is a special kind of life force that can only be channeled by someone that has been attuned to it. It is possible that some people are born with Reiki or have gotten it some other way. 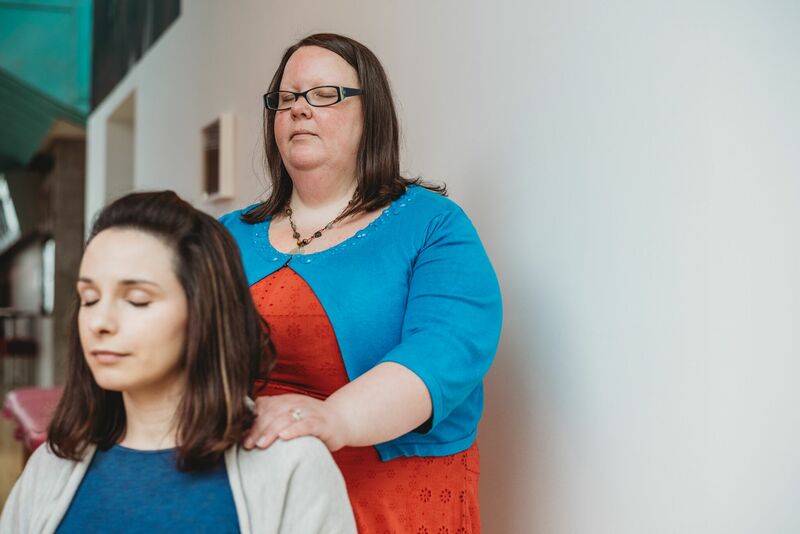 However,most healers who have not received the Reiki attunement from a Reiki Master are not using Reiki but another kind of life force.People who already do healing work consistently report an increase of at least fifty percent in the strength of their healing energies after taking the Reiki training. This was verified for me when I first began teaching Reiki. There were two clairvoyant healers I knew who had highly developed abilities.They could easily see the life force flowing through a person’s body, as well as see the aura and chakras. They could also communicate with a person’s guides and Higher Self. They were adept at moving negative psychic energy out of the body as well as channeling healing energies. In my twenty years of metaphysical work, they were the most accurate and effective psychic healers I had met. They told me later they had doubted there was anything I was teaching they couldn’t already do, but that they took the Reiki training anyway,simply to support me in my new work. After the attunement, they were amazed at the difference they could feel between the healing energies they had been using and Reiki. They said the Reiki energies were more powerful and of a much higher frequency. They noted also that Reiki didn’t have to be guided like the other healing energies they were using, and that the Reiki energies began flowing without having to enter an altered state. They also indicated the attunement process itself was a powerful healing experience,releasing restrictions relating to their healing work they had unknowingly acquired when they were healers in past lives. They were very pleased they had taken the class. Because Reiki is guided by the God-consciousness, it can never do harm.It always knows what a person needs and will adjust itself to create the effect that is appropriate for them. One never need worry about whether to give Reiki or not. It is always helpful. In addition,because the practitioner does not direct the healing and does not decide what to work on, or what to heal, the practitioner is not in danger of taking on the karma of the client. Because the practitioner is not doing the healing, it is also much easier for the ego to stay out of the way and allow the presence of God to clearly shine through.